It’s hot outside. Not much you can do about that, but if you can at all help it, you definitely don’t want it to be hot inside too. Installing central air is a big investment though and it requires dealing with ductwork – which causes higher installation costs. Packaged terminal air conditioners are one convenient solution. They’re ductless, which makes installation much simpler than with central air conditioning. They cost a lot less upfront (although they will use more energy than central air, so the costs will add up over time). And they make more sense for anyone that doesn’t feel the need to cool a whole house or apartment and just wants to stick with cooling the room they’re in at any given time. You’ve almost certainly encountered packaged terminal air conditioners any time you’ve stayed in a hotel or motel. They work fairly well, many of them are quiet, and they’re not too difficult to install. Also, most packaged terminal air conditioners provide heating as well, so you don’t have to buy a separate heater come winter. If you choose to go the route of buying a packaged terminal air conditioner, here are the main things you need to know. Packaged Terminal Air Conditioners, or just simply PTACs, cool and heat via one of two types of technology. Each has its benefits and which is right for you will depend on where you live and what you aim to use your PTAC for. 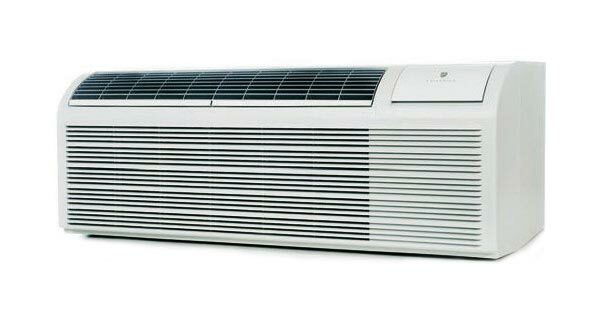 Packaged terminal air conditioners that use heat pumps usually cost more upfront to the tune of around $60 or $70. That higher upfront cost pays off in energy efficiency though, so you can expect to save a little on your electric bills for the life of the unit. Heat pumps aren’t as powerful as electric heat PTACs when faced with the task of heating a room during a cold winter. If you’re really just buying your PTAC for air conditioning in the summer, a heat pump model is usually your best bet. If you aim to use your packaged terminal air conditioner as your main form of heating in the winter and you live in a place where the temperatures dip pretty low during the winter months, then it’s likely a heat pump won’t suffice. Best Option For: People who care about energy efficiency and plan on mostly using their PTAC in the summer for cooling. Electric heat PTACs use more energy, but cost a bit less upfront. They also tend to be a little quieter than heat pump units. The main reason to consider an electric heat packaged terminal air conditioner isn’t due to that $60 or so in upfront savings, it’s because it will work much better as a heater. Right now, you’re probably more concerned with cooling off, but if you want your PTAC to come in handy when the cold weather comes back around, an electric heat model is your best bet. It can keep working even on those especially cold nights. Best Option For: People who want their PTAC to work as well as a heater as it does as an air conditioner. While in general, packaged terminal air conditioners all offer fairly similar features and benefits, you have a few main factors to keep in mind in your search for the best PTAC for your room. The most obvious cost to consider is the cost of the unit itself. Packaged terminal air conditioners usually cost somewhere in the range of $500-$1,500. The higher costs are usually associated with units that provide more power and can thus cool a larger space. In some cases, a higher price tag comes with a brand name that’s known for reliability. Being able to trust that your unit will last many years may make a couple hundred extra dollars well worth it. In addition to the cost of the unit itself, you need to think about the cost of necessary accessories. In order to install a packaged terminal air conditioner, you need both a wall sleeve and an external grill. While these cost considerably less than the PTAC itself, each item tends to run somewhere in the $50-$100 range. Finally, like all air conditioners and heaters, packaged terminal air conditioners require some serious energy to do their job. You should consider how much your chosen PTAC is likely to cost you in energy bills for each month of use. A model that’s more energy efficient may well be worth some extra money upfront. One of the nice benefits of packaged terminal air conditioners is that they’re relatively simple to install. If you or someone in your home is handy, you can probably get away with not spending anything extra on installation. If you’re installing a PTAC in a space that hasn’t had one before, you do need to cut a hole in the wall, which may be a little out of your depth if you’re not particularly skilled at home improvement projects. In that case, you don’t necessarily need to call on an HVAC specialist; most general contractors and handymen should be up to the task. First things first, it’s important that you understand that any PTAC you buy is designed to heat and cool one room specifically. If you want your whole house cooled, you need to either invest in central air or buy a PTAC for each room. To make sure you buy a unit that will properly cool the room you have in mind, you should look to the BTUs the manufacturer lists. BTUs are a measure of an air conditioner’s power and they usually translate (roughly) to a particular room size. Keep in mind though that if you live somewhere that gets really hot or if the spot where you install your PTAC gets a lot of direct sunlight, you may want to go a little higher in BTUs to account for the extra work your unit will have to do. You definitely don’t want to end up with a packaged terminal air conditioning unit that isn’t powerful enough to cool your whole room, for obvious reasons. But you also want to be careful not to go too high, and not just because you’ll be paying more than you need to. If your PTAC cools the room too much, it won’t properly dehumidify the space and your room will be cool, but not as comfortable as it would be with a cooling unit of the proper size and power. You shouldn’t buy any type of air conditioner without thinking about the energy it will use. Inevitably, bringing an air conditioner or heater into your life where there wasn’t one before will mean higher energy bills. That’s the trade-off for being comfortable in your own home no matter the weather outside. Some packaged terminal air conditioners will offer better energy efficiency than other models. As already mentioned, if you go with a heat pump rather than electric heat, the unit will use a bit less energy. Higher BTU’s will also predictably use higher amounts of energy than units with fewer. You can also check the energy efficiency ratio (EER) rating to see how different units you’re considering compare. A higher EER means that the PTAC is more efficient and will help you achieve cheaper energy bills for similar results. Air conditioners can get loud. If you’re adding a PTAC to a home that already has its share of loud appliances or if you know you’re sensitive to new noises in your home, you’ll likely want to look for a unit that’s on the quieter side. Figuring out which PTACs actually are quieter than others can be challenging though, most manufacturers are happy to claim that their packaged terminal air conditioners are quiet. The main thing to look for if you want a unit that’s on the quieter side is a two-fan system. You can also count on electric heat PTACs being a little quieter than gas pump models. Other than that, all you can really do is check the customer reviews to see what people have to say about their PTACs. If a model is especially loud, customers are likely to let you know in their reviews. If you’re replacing a packaged terminal air conditioner, then you need to make sure you know the exact measurements and order a new unit that’s the right size and shape to fit in the space your last PTAC went in. If you’re installing a new PTAC where none was, you have some more flexibility in deciding on a size, but you should still identify the spot in the house where you want to install the unit so you can make sure you buy one that will fit there. PTACs are typically installed at the ground level and often under windows. As with the size, if you’re replacing a unit, you should make sure you purchase a new PTAC with the voltage and plug that match the old one. Your installation process will quickly become more complicated if you need to hire an electrician to change the wiring or outlet type to fit your PTAC. A packaged terminal air conditioner that frequently needs work will mean lots of extra expenses and uncomfortably hot days. Go for a brand that has a reputation for lasting. Look into the warranties offered on the different PTACs you consider. A strong warranty suggests the manufacturer stands by their product and expects it to last. Beyond that, look over the customer reviews. If a model is known for breaking down early or often, reviewers will likely take the time to make note of it to warn off future customers. A wall sleeve is required in order to successfully install a packaged terminal air conditioner. Make sure you find one with the proper dimensions to match the unit you buy. If you’re replacing an old unit, then the wall sleeve already there can likely be reused. The grill will go on the outside of your house. Once again, as long as your dimensions are correct, you don’t need to be too picky about choosing one. And if you’re replacing an old unit, you should be able to reuse the grill as well. When it starts to really get hot (or cold) out, you may see your energy bills skyrocket if you’re not careful. An energy saver mode option can help you stay cool without overdoing it on energy use. While most PTAC units come with built-in thermostats, if you want the convenience of setting the temperature in another spot in the room – perhaps somewhere higher up on the wall, so you don’t have to kneel down to access it – remote thermostats allow that option. They do call for a more complicated installation process, so you may find they’re only worth the trouble if you’re still in the process of building the room. Most customers won’t need a drain kit, but if the outside of your unit is next to something like a patio or deck where you don’t want to deal with any of the condensate that could potentially drip from the unit, the kit can help you capture and redirect it. Air conditioners have to work hard during the hot summer and you want to make sure you go with a brand that has a reputation for creating products up to the task. To help you hone in on the best brands in the space, we looked at customer reviews of the PTACs made by different air conditioner brands to provide you with a summary of what people think of them. Amana’s packaged terminal air conditioners earn consistently positive reviews from customers. They say their ACs work well, are quiet, and do a great job of making the space more comfortable. Several also mentioned that they work efficiently, so they aren’t an energy drain, and they’re fairly simple to install. All in all, Amana’s reputation is one you can count on. An industry leader for many types of air conditioners, Friedrich features a wide selection of PTAC units of all sizes. The reviews from customers have been overwhelmingly positive. From the dependable cooling power to the low and quiet decibel level, the reviews we found for Friedrich units have been both positive and reassuring. This brand continues to be a safe bet for consumers looking for a new air conditioner, with their portable and window units following the same trend of positive reviews. Not as many Frigidaire customers have taken the time to review their experience with the company’s packaged terminal air conditioners, but those that have are generally pretty satisfied. They say the AC works well, is reasonably priced, and is easy to install. GE gets mixed reviews for their packaged terminal air conditioners. Many customers praise how quiet their units are and how much money they save because they’re easy to install. But customers that have had the units for a while complain that they need frequent repairs while they’re still relatively new. The positive reviews do outnumber the negative, but there are enough customers with issues for concern. LG sells packaged terminal air conditioners that customers are generally happy with. Reviewers say their units are quiet, cool quickly, and are easy to install. Most reviewers give the units five stars and are quick to recommend them to other consumers. One purchase now can help you solve the problem of discomfort during both your summer and winter months. 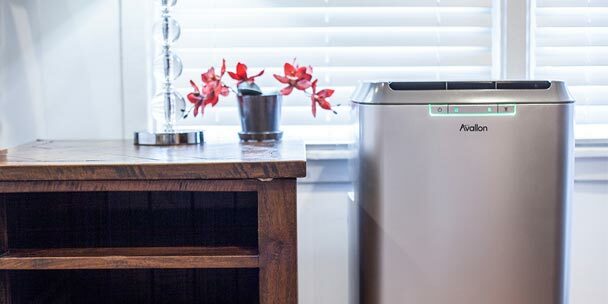 A packaged terminal air conditioner can help you enjoy the comfort of your own home throughout the entire year – and it doesn’t require all that much cost or effort to get into place to start. If you’re tired of suffering through hot days, then hurry up and find the best PTAC for you so you don’t have to any more sweaty days in your own home. Can these units be installed to vent into an unheated garage? YES ABSOLUTELY AS LONG AS YOU HAVE THE PROPER ELECTRIC SET UP. Any adjustments/variables for interior vs exterior? Location? Great Overall synopsis of PTACs. Coming from a former employee at Idontcaire, I’d believe that taste led to the omission of the company here; perhaps they have the inside scoop. It’s a company that cares much more about selling than supporting. Customers steadily get ignored and are widely disgusted by it all. This attitude leads from the top down, and I’m relieved to no longer be associated with the mess. heaters and good Hotel Type Heating and Air conditioning. The first rental unit is being worked on now. This will help with installation of other 20 units. I bought an Amana PTAC in 2007 and had it professionally installed. I had it repaired in 2010, 2014, February of 2017, January of 2018 and it went bad again on March 15, 2018. Amana won’t stand by it nor the replacement parts. I thought Amana was a good brand too but not anymore. Save yourself a headache and avoid buying an Amana PTAC. I found this page looking for a replacement unit for my Amana nightmare.